suitable memorial for your loved one. Registered and bonded Monument dealer. 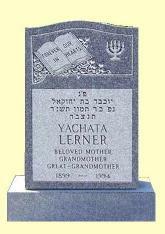 We offer a full line of granite and bronze monuments with considerable savings to you. no charge. 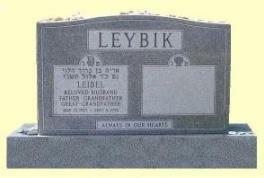 Please see page Hebrew on the monument. craftsmanship. Each memorial comes with a written full-replacement warranty on both material and craftsmanship. We can make home appointments for your convenience. 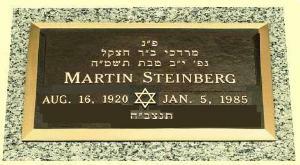 INSTALLATION IN SHLOSHIM (30 days mourning period) PERIOD IS AVAILABLE.